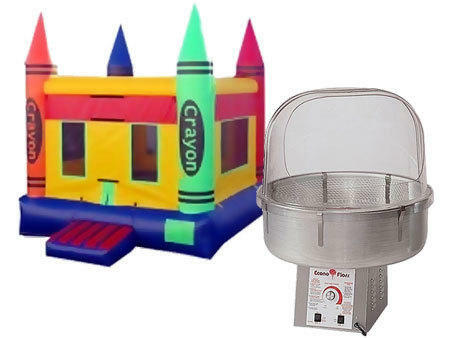 In the Crayon Candy Package you'll get the awesome crayon bounce house that's ready for your creative crew and the U Bounce Cotton Candy Machine. Includes supplies for 70 servings. Additional supplies available upon request for an additional fee.